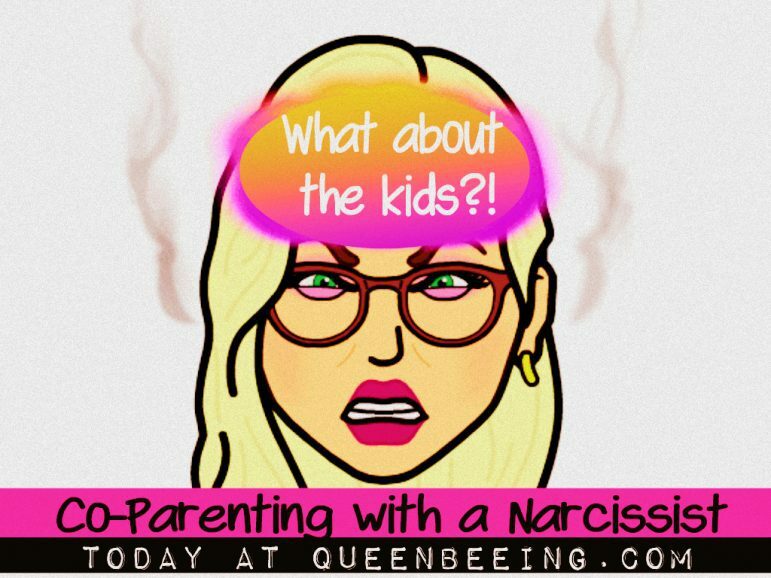 So, you’re co-parenting with a narcissist. First things first, you’re not alone – and there is even free help available for you. According to the DSM IV-TR, Narcissistic Personality Disorder (NPD) is diagnosed in between 2% and 16% of the population in clinical settings (between 0.5-1% of the general population). And most narcissists (50-75% of all patients) are men. But what about the kids? 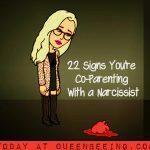 If you’re you’re dealing with a narcissist co-parent, are you worried about how it’ll affect your children? 26.6% experienced other types of abuse, such as emotional, verbal and mental abuse. Studies indicate that as many as 20% of all school aged children experience symptoms of anxiety – and you can bet that a good portion of those are the kids who are being abused at home. Stress is in another category, and it’s estimated at 100% of our children who experience stress in some form or another throughout their school years. Stress can weaken a child’s immune system and cause illnesses – just as it can in adults. It’s important for children to get enough sleep and eat well so that the immune system stays strong – and even though stress is inevitable, they can cope with it physically. One essential part of teaching your children how to deal with stress and anxiety is setting an example for the child. So, if you come in from a hard day’s work and immediately reach for a drink to “relax,” the kids will learn that it’s okay to dull the pain rather than face it head on. A cocktail in the evening is fine, but don’t use it as a crutch with your own anxiety problems. When your child sees you dealing with stress by relaxation and other techniques, he’ll learn a big lesson in coping. Recognizing the symptoms of stress and anxiety in children is the first step in helping them. They’re not completely different from the symptoms when adults experience stress. Depression and panic attacks can ensue from too much stress in adults and children, so it’s important to recognize the early signs of a much more serious problem. What Are the Symptoms of Stress and Anxiety in Children? Most adults have experienced stress in the form of a rapidly beating heart, breaking out in a cold sweat and taking shallow breaths. While we may know and understand what’s happening, kids sometimes don’t – and they may hide the symptoms or not know how to verbalize the suffering. Symptoms of stress may remain unnoticed because your child lacks the vocabulary or doesn’t understand enough about what’s happening to him to talk to you about it. 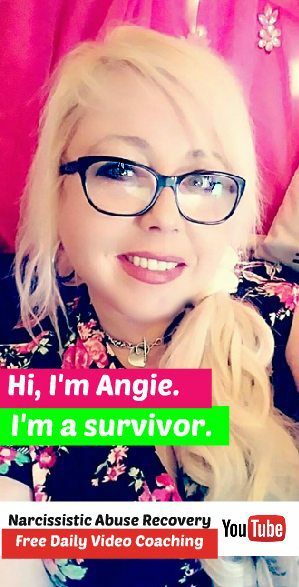 It’s vitally important that you maintain a strong and open line of communication with him so that he can learn how to communicate his feelings and get help. Physical Symptoms of Stress in Children – Physical symptoms could appear in your child as headaches, stomach aches, a loss of appetite or other changes in how he eats, wetting the bed and lack of sleep. After making sure there’s no illness causing the problem, you can assume that there’s something stressful going on in the child’s life. The stress could morph into panic attacks, which would include more exacerbated stress symptoms. Behavioral Symptoms of Stress in Children – Your child’s behavior is a good way to gauge if he’s going through stress and anxiety. Acting out in an aggressive manner might be one way a child deals with stress. Stubbornness, crying, anger and attempting to control situations he’s in are also behavioral problems that might be accurately identified as stress symptoms in a child. Irrational Fears – One really common red flag that may identify stress in children is that they’re expressing irrational fears. For example, a typical fire drill in school could cause the child to become panicked, crying and expressing fear about a real fire, even though they know it’s a drill. Extreme Sadness – If your child seems excessively sad about a situation or worries constantly about the “what ifs” in life, he may be experiencing stress and anxiety in his life. A pet or close family member’s death may trigger sadness symptoms that last a long time and it may be difficult for the child to overcome. These symptoms or any changes in the physical or behavioral makeup of your child should be considered red flags that he may be suffering stress and anxiety in his life. Monitor your child closely to make sure they don’t become so out of control that they harm the child’s mental and physical health. As children grow from babies to toddlers to young children and teens, they may experience various types of anxiety that could have an impact on the rest of their lives if they don’t learn how to cope with stress they encounter. Of course, there are many children who, like their adult counterparts, end up with PTSD or C-PTSD. But that’s not all – others end up with definable stress and anxiety disorders. GAD (Generalized Anxiety Disorder) – Children diagnosed with GAD often worry all the time about anything and everything. Their brains just create anxiety out of the most ordinary things such as an impending test, grades or friends. The probable causes of GAD could include environmental factors such as family dynamics or even a chemical imbalance in the brain. Symptoms may include anger, lack of sleep, irritability and unwarranted worry. Panic Disorder – Recurring panic attacks can affect your child both mentally and physically. Panic attacks are often uncontrollable and symptoms may include rapid heart rate, nausea and trouble breathing. Panic attacks in children are also unpredictable and may stem from the child thinking too much about such dire situations as illness, dying and other situations that he can’t control. The child also might develop a fear of heights, being left alone and other thoughts that a child doesn’t usually worry about. Obsessive-Compulsive Disorder (OCD) – Children experiencing this stress disorder are often irrational about the most common daily tasks. They may be obsessed about washing their hands and imagine all types of consequences if they’re not clean enough. Repetitive actions are also the norm for children with OCD. A child with OCD might begin counting obsessively or checking on something over and over again and think that something bad might happen to him if he doesn’t. It’s important to recognize OCD early in a child or they may get caught in a cycle that will be difficult to recover from. The child has no control over his irrational actions and may not be able to suppress them. Separation Anxiety Disorder (SAD) – Separation anxiety can often be a normal reaction when children go through a certain stage from 6 months to 18 months old. SAD occurs when children see or sense that their parents are leaving when dropped off at day care or somewhere else. Usually, the problem subsides as they get further into the routines of school. This type of anxiety becomes a disorder when the child begins to worry that something horrible is going to happen to them if their parents leave. They might cry and cling to the parent, have trouble sleeping and refuse to eat. Children usually outgrow this disorder by the time they’re two years old. If they don’t outgrow it, it could become a real disorder and you may need to seek treatment. Stress Phobias – A child who perceives danger or fear in normal situations may have a phobia. This may occur when a child has to fly in an airplane, sees or comes close to a dog or bug or has to get a vaccination at the doctor’s office – and while a certain amount of stress phobias are normal in young children, when it becomes life-altering or excessive, you need to do something to help. The situations that children often fear might seem ridiculous to us. But even though something may be trivial, to a child it could be monumental. If a child restricts their play and other activities and becomes withdrawn, the phobia needs to be addressed immediately. Some children’s phobias may be solved by taking some quality time to spend with him to show him that what he thought was so scary, really isn’t. It may be necessary to get help from a therapist to solve some issues. Anxiety in children can become a serious problem if you don’t recognize and cope with it early. Each child may have a different reaction to anxiety, just like in adults – and you may not always recognize it for what it is. Tip: Attempt to get your child to verbalize his or her feelings so you can better figure out how to help him. You may need to see a therapist if the anxiety continues or if it gets out of control and your child loses the ability to go to school and function in activities that children usually enjoy. Of all the types of anxiety in children, a panic attack is usually the one that reveals itself in a physical manner. You should be able to recognize when your child is having a panic attack so that you can take steps to calm him down and help him cope with the situation. Early intervention is necessary to successfully help your child with certain anxiety disorders. If you need to seek treatment from a specialist, you should know that there are highly effective ones available. Panic attacks stem from stress that’s escalated into visible panic symptoms. In children, as in adults, a panic attack can be sudden and unexplained fear and worry. Physically, you could experience a shortness of breath, feel a rapid heart rate and have actual pain in the chest area. The child may also be dizzy, sweating profusely and have trouble telling you what’s wrong. The causes of panic attacks could be difficult to pinpoint and might be genetic in nature. They could begin and get worse because of a traumatic experience or stressful event such as a divorce. Marked changes in a child’s behavior because of the panic attacks may also be symptoms that you can recognize and do something about. If a child has a panic attack and then becomes withdrawn socially, he may be afraid of having another attack in public – around his friends. Treatment for panic disorder in children may involve behavioral and cognitive therapy, certain medications or a combination of the two. It’s important that you make sure your child has a healthy lifestyle if he’s plagued with panic attacks. A healthy diet, plenty of sleep and a good amount of exercise can go a long way in helping the child manage and eventually get rid of the possibility of a panic attack. Let the child knows he has support and can come to you with any problem he might perceive. No worry is too small to talk about. Another thing you can do for your child to help minimize a panic disorder is to make sure there’s plenty of time in the schedule to relax. Don’t fill your child’s calendar with too much, and make sure you talk to him about whether or not he wants to participate in certain sports or activities. We’d all love to shield our children from ever having a moment’s stress in their entire lives, but the fact is that they’re going to be faced with some sort of stress almost every day – and sadly, this is especially true for children who have a narcissistic parent. The key is to teach them how to cope with the reality of stress, face their fears and stand up for what’s right. Children will eventually learn that stress and anxiety runs its own course in time and that finding ways to relax and get their minds off the situation will go a long way in helping them gain control of the situation. You have to encourage your child to work past the stress and anxiety they may feel and to avoid getting trapped in feelings of inferiority. Accentuate the positive. Your child may be lost in negative thoughts and criticism about his or her looks, performance in sports or academic pursuits or social aspects of their lives. When you notice your child drowning in negativity, try to boost his self-esteem by reminding him of his great attributes and how he can turn a situation into a positive experience. Set an example. If you’re anxious and stressed, your child will be too. Show your child how you can face fears and overcome them or accept the outcome and go on. Taking care of yourself is also an important part of life that you need to show your children. Stand up to fear. Fear can be a horrifying experience – but once you face your fears, they gradually shrink and aren’t as scary as they were before you knew the facts. Fear of giving a speech in class, performing in sports, going on a date or entering a class full of kids you don’t know can be an overwhelmingly stressful experience for a child. Encourage him and teach him about how to face and overcome fearful situations. Communication with your child is imperative to conquer stress and anxiety. Help is available online in the form of “feelings” charts and other ways to help you recognize your child’s body language and what he’s trying to express in his actions. 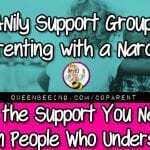 Since narcissists are notoriously selfish and typically unreliable, you have to the dependable one – so try to be consistent, but flexible in your attempt to help your kid overcome the stress and anxiety he or she may be experiencing as you deal with your narcissistic co-parent. 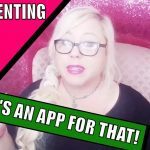 Are you co-parenting with a narcissist? Have you seen symptoms of stress and anxiety in your children? How have you dealt with it? Share your thoughts and experiences in the comments section.